Awesome - this meme is f#cking awesome. I LOVE IT! 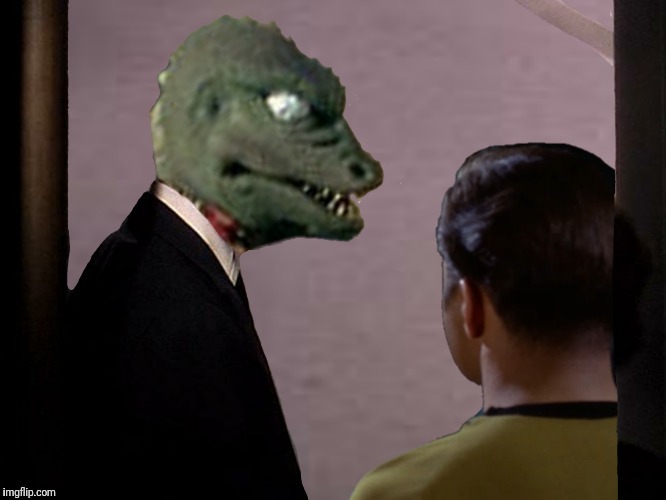 For some reason Kirk really sets it off. Great graphic work - it feels like we're right in the room with them. This is now one of my favorites, and you KNOW I like them all. Thank you for this! I'm looking forward to coming up with something clever for it. I will add this to my btbeeston folder - which is growing every day. Just looking at it makes me want to stay up late again and THINK. 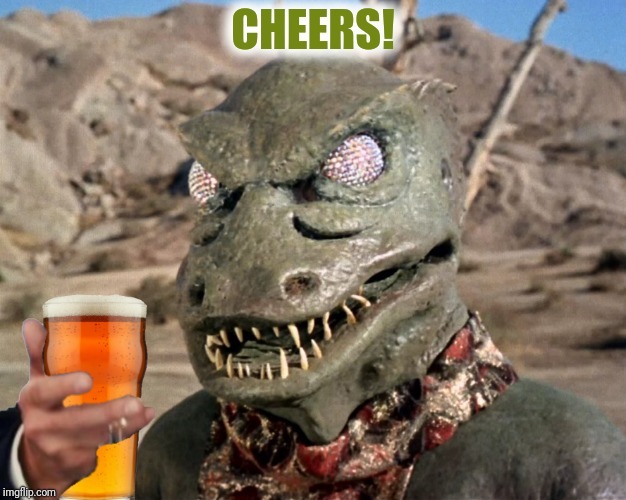 No pressure, but I'm looking forward to seeing what you come up with...btw I told my friend to take lots of pictures of Gorn Desert, but forgot to ask when he's going. 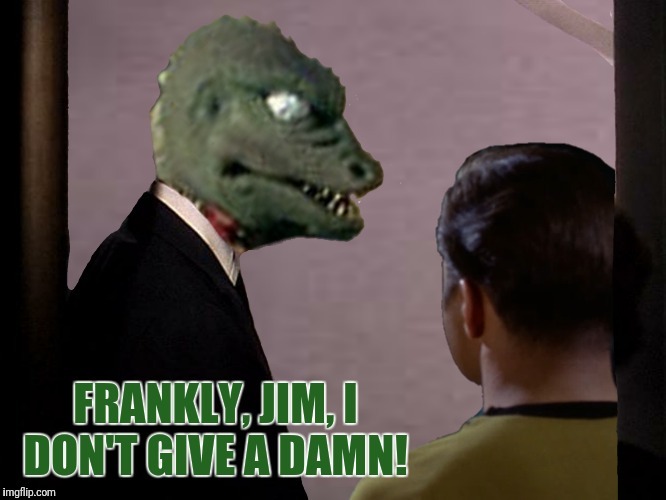 FRANKLY, JIM, I DON'T GIVE A DAMN!